She spoke with John Oliver about how she has reclaimed her life and maintained her sense of humor. Monica Lewinsky is back with a powerful message about how to thrive after facing seemingly insurmountable obstacles. In a segment on Last Week Tonight with John Oliver, she spoke candidly about the steps she took to reclaim her life and identity, eventually becoming a strong anti-bullying advocate. The Monica Lewinsky we see today isn’t the same traumatized young girl who went into hiding for years after the scandal broke — (Lewinsky revealed in Vanity Fair that she was diagnosed with post-traumatic stress disorder from her public ordeal. “My trauma expedition has been long, arduous, painful, and expensive,” she wrote.) Today’s version took time to emerge. “There were stages,” she told Oliver. Fortunately, the way we view Lewinsky and her relationship with Clinton has shifted significantly in recent years, thanks to factors like the #MeToo movement, and reconsidering the power dynamics of the situation. But despite this new narrative, Lewinsky doesn’t pretend like she made all the right decisions. “That’s not to say that I wasn’t flawed, and that I didn’t make terrible mistakes, or do stupid things, or say stupid things — because of course I did,” she told Oliver. When Oliver asked her how she managed to survive the incessant public shaming, Lewinsky’s first answer is that she doesn’t actually know. She then went on to say that she couldn’t have gotten through the “avalanche of pain and humiliation” without her family and friends. Never underestimate the power of community to help get you through a trying situation. In the years following her time in the spotlight, Lewinsky moved to England to attend the London School of Economics where she received her Masters of Science degree in social psychology. She told Oliver that she thought that once she finished grad school, she would be able to get a job and then be identified as someone’s employee rather than the Monica Lewinsky people knew from the news. But she quickly found that it was easier said than done, and that had an impact on how she viewed herself. “There was this wide range of not being able to support myself and also have a purpose, which is equally important to feel that you matter in some way,” she explained. Many people suggested that there was a way around this: changing her name. This was not something Lewinsky considered for several reasons. First, she said that she didn’t think it would have worked and people would have recognized her anyway. Second, she didn’t want to start off her professional life on a lie. Most notably, though, it was on principle. Lewinsky knows exactly why she has a platform today, and you’d better believe that she’s going to use it. And she’s probably going to make it funny. Humor is one of our most powerful weapons for exposing truths, and she has harnessed that power better than most. Between wearing her black beret to a party, or identifying herself on Twitter as “the chick from over 125 rap songs,” Lewinsky has taken what could have ruined her and uses her experience to make people think — and laugh. 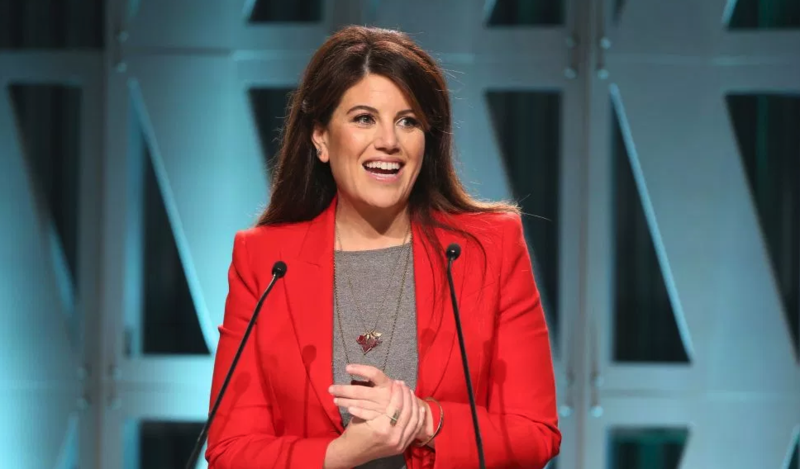 Through she’s glad social media didn’t exist when she was in the spotlight, Lewinsky did acknowledge that it would have been helpful to receive supportive messages from other people.